There are some new Daily Challenges for us to complete on Club Penguin Island! 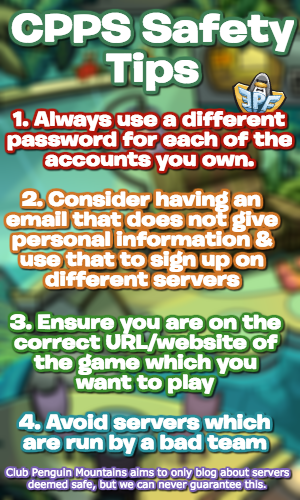 As always, here’s a tutorial on how to do so. Members, dive right into the Sea Caves and head straight to the Glow Grotto! This is the deepest place you can visit. Keep heading down but stay in the centre. It is just past the entrance to the Throne Room and the exit from the Crab’s Den. Head down into the Grotto where you will need to purchase a souvenir from the Party Supplies vendor. Swim over to it and tap the orange interactive button. I simply bought a stick for ten coins. This one is very simple! At the Welcome Circle in Beacon Boardwalk, the circle will either be beach balls, a dance floor, nothing, or a trampoline. You need to wait for when it’s a trampoline. When it is, simply just hop on it and wait a few seconds. 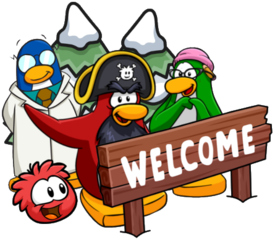 Your penguin will automatically do 20 jumps and you will be able to claim your reward! Dive into the Sea Caves and go towards the Throne Room. This place is past the five arches and opposite the exit from the Crab’s Den. Once there, you will simply be able to claim your reward! Head over to the Welcome Circle in Beacon Boardwalk. When the mosaic is up, head over to the exact centre of it and open your emoji bar. Find the starfish emoji and tap it to complete this challenge! That’s it for today’s guide! Be sure to check back for the latest news too! Thank you for reading! I HATE CPI!! I JUST LEVELED UP TO 12 AND UN A NON MEMBER SO I GOT NOTHING! And btw I was seeing the map and there’s a place in Canada or NorthEast US called Laval! I spoke to WordPress about that. Please do send a screenshot, unfortunately I can’t do anything without one.